Breitling benefited from a money-can’t-buy photo opportunity yesterday when Prince William climbed aboard a Norton motorcycle plastered with the watchmaker’s branding. 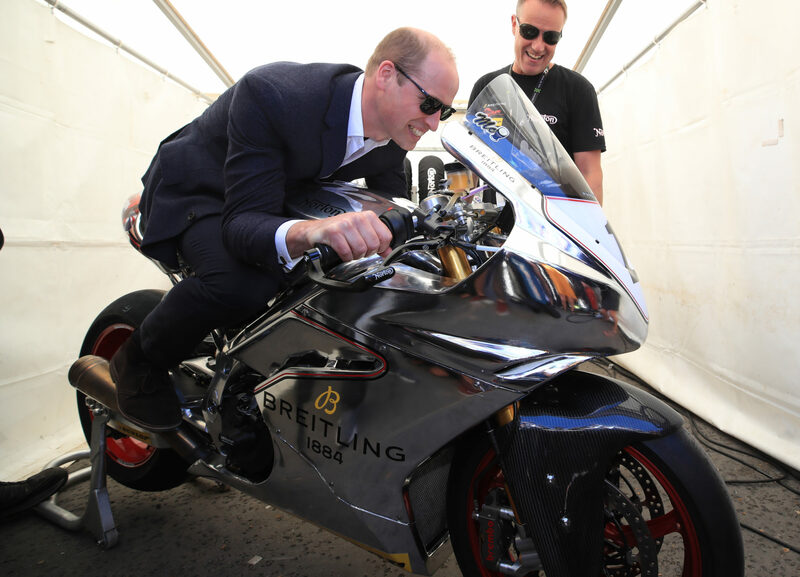 The Duke of Cambridge is known to be a passionate motorcyclist, and was attending the Isle of Man TT festival when he could not resist checking out the Norton. 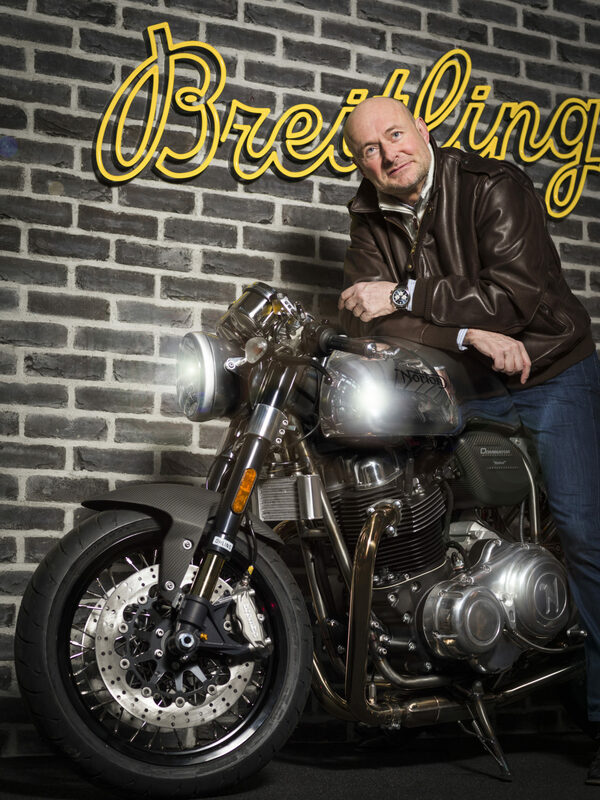 Breitling announced a partnership with English motorcycle producer Norton in March this year, with CEO Georges Kern that both brands have an incredible “cool factor”. “It’s easy to imagine someone riding by on a Norton motorcycle wearing a classic Breitling – a perfect combination of aspirational, statement-making brands.” he added. Readers can make up their own minds on which middle aged men have the cool factor while sitting astride a massively powerful Norton. Prince William, Duke of Cambridge tries out a motorbike at the Isle of Man TT (Photo by Peter Byrne – WPA Pool/Getty Images).